Time to hop on a plane to Edinburgh, Scotland. 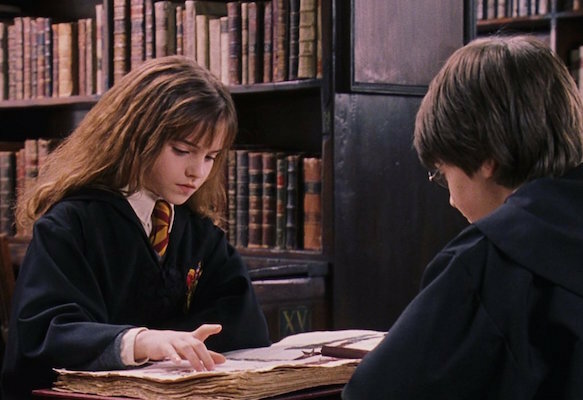 That’s because a copy of Harry Potter and the Philosopher’s Stone annotated by J.K. Rowling is going on display at the Edinburgh’s Writers’ Museum on December 8th. While Americans call the first book Harry Potter and the Sorcerer’s Stone, we must go with the official (read: correct) British title for an event so sacred. The hardcover, first-edition book features 43 annotations from Rowling, including 22 drawings from her magical mind. Considering that Rowling wrote most of The Philosopher’s Stone in Edinburgh, the book being displayed in the city’s museum is fitting. And she annotated this copy of her first book back in 2013 to raise money for English PEN and Rowling’s charity Lumos. This annotated Harry Potter and the Philosopher’s Stone will be on display until January 8th. To make it possible for visitors to see as much as possible of what Rowling wrote, the book will be turned to different annotations on December 14th, December 21st, and December 28th. All of these details make us NEED to see this book. And since going to Edinburgh right now might not be the most practical without a broom, floo powder, or the power to apparate, we say: ACCIO annotated book! Welp, that didn’t work, but it was worth a shot to learn more about how the wonderful world of Harry Potter was created from the author herself.